Merry Christmas, you're fired. Office Depot will close more than a 100 stores and lay off thousands of workers in the next three months. 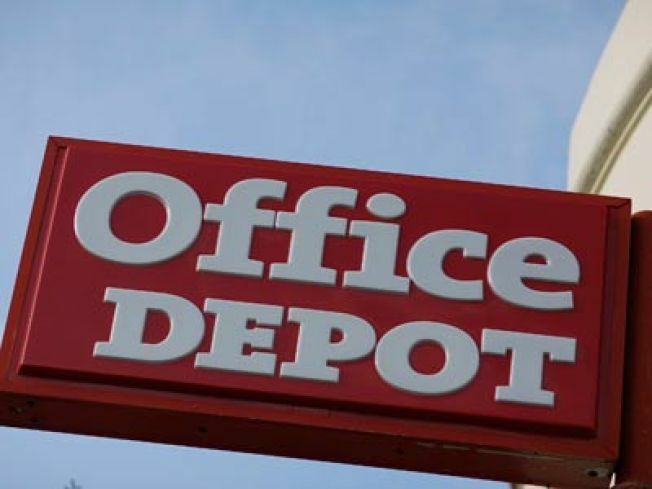 Office Depot says it will close 112 stores, or 9% of its locations, over the next three months and open fewer stores in 2009 in an effort to cut costs. The office-supply retailer will reduce its store base to 1,163. Locations being closed include 45 in the Central U.S, 40 in the Northeast and Canada, 19 in the West and eight in the South. Office Depot also will close six of its 33 North American distribution facilities. Payroll deductions should total about 2,200 jobs. The Delray Beach, Fla.-based company will take related charges of $270 million to $300 million in 2008 and 2009. The struggling office supply retailer considered store closings in October, when it reported a third-quarter loss due to slumping sales as consumers and small businesses cut back spending.